The thought of spiderwebs on a cake may conjure up unpleasant images, but if a cake is decorated with Spider-Man-styled frosting webs, that changes the story. Make a Spider-Man birthday party complete by decorating a cake that would make the superhero proud. To ensure your success, get the right tools to make cake decorating easy. With a little practice and finesse you can create a cake that will make any Spider-Man fan happy. Put your cake on a turn table. 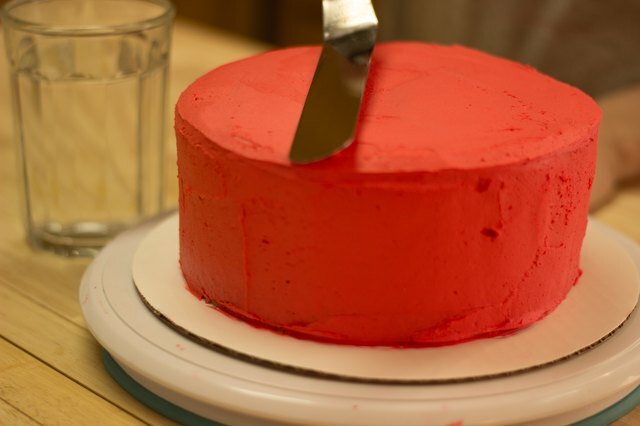 Place between a 1/2 to 1 cup of bright red buttercream icing on top of your cake. 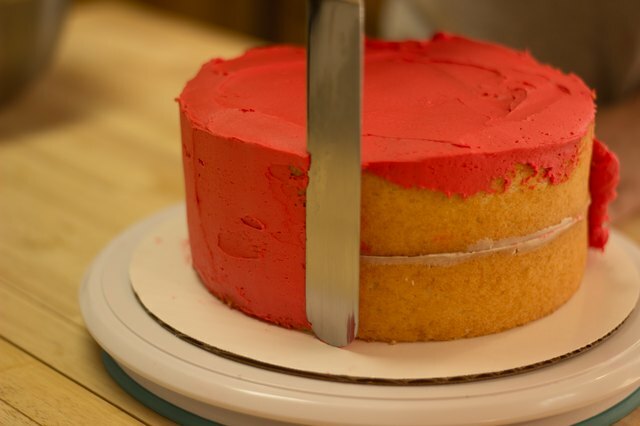 Spread the icing over the surface and sides off your cake with an icing knife, smoothing the icing evenly to cover the cake. Flatten the icing. 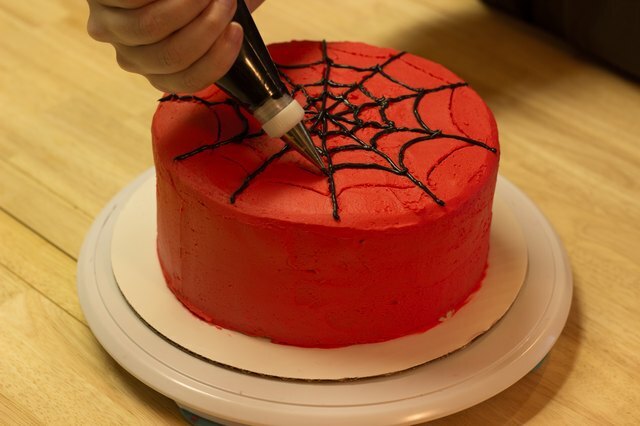 To create a smooth surface for your Spider-Man web, dip the icing knife into hot water and dry thoroughly. 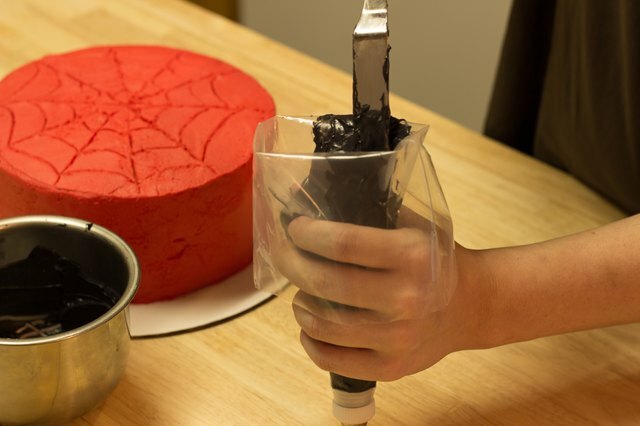 Glide the hot knife over the cake to make a smooth decorating area. Re-dip the knife as necessary in the water to keep the knife hot. Set the cake aside. Allow the icing to rest for 15 minutes or until the icing has slightly hardened on the outside. 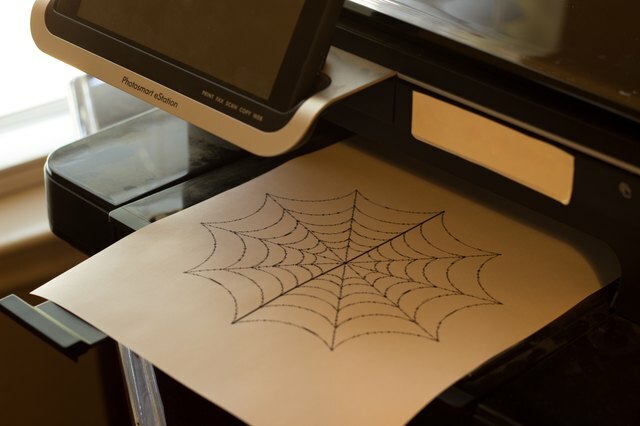 Print off a image of a Spider-Man web from the Internet. Look for an image that has bold lines and is easy to see. 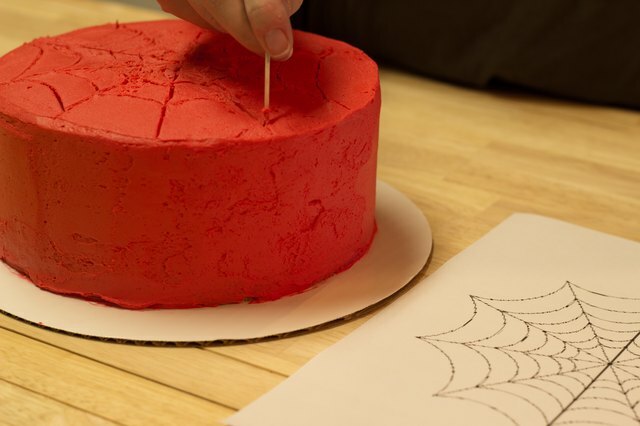 Using your printed image as a guide, carefully trace the Spider-Man web design with toothpicks in the red frosting. Hold the toothpick as you hold a pen, being careful to only trace the pattern into the surface of the frosting. Mix your icing. 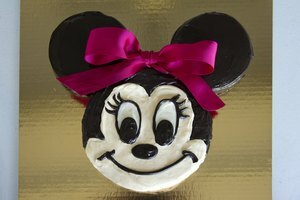 Place a cup of white buttercream icing into a mixing bowl with several drops of black food coloring. Stir thoroughly to blend. Add more food coloring to create a darker hue. Slide a coupler base into the bottom of a pastry bag. Place a small, round icing tip over the top of the bag and the coupler and screw the coupler ring on top. Fold back the top half of the pastry bag to form a cuff. Scoop out 1/2 cup of the black icing with the spatula and place it into the pastry bag. Unfold the cuff and twist the bag tightly to secure it. Hold the bag in one hand and create the frosting web. Pipe over the lines drawn in the red frosting, using a steady stream of frosting to "draw" the web. 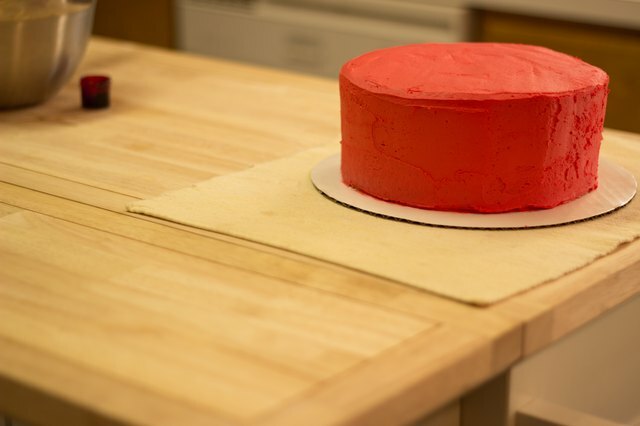 Use the turn table to move the cake around as you frost. 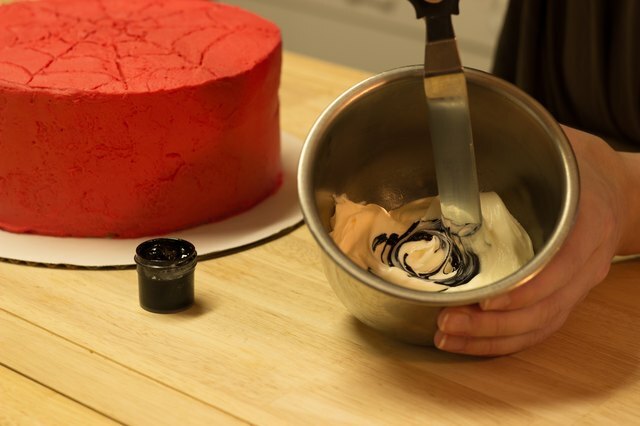 Adding small amounts of blue food coloring can help deepen the black hue in buttercream icing. 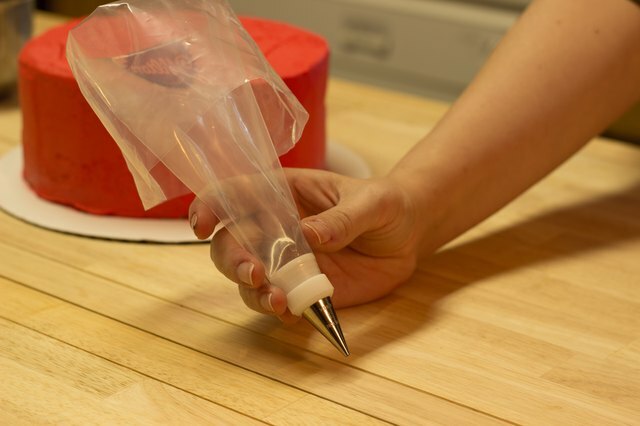 Use both hands on the icing bag to assist in creating a steady line for the web. Do not place foil or other plastic wrap over your cake once you have finished decorating it, as this can ruin the design. 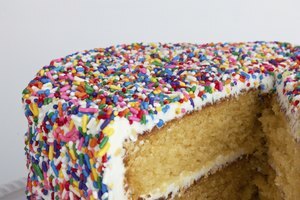 Place your cake in a plastic cake saver to preserve it until you're ready to serve it.